On January 31, 2017, Toronto City Council approved the appointment of Dr. Eileen de Villa as Toronto’s new Medical Officer of Health as of March 27, 2017. 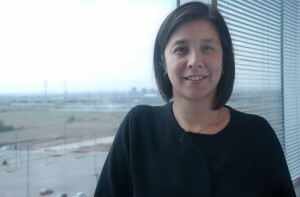 Dr. de Villa’s career in the public health field spans over a dozen years, during which she served as Medical Officer of Health and Associate Medical Officer of Health for the Region of Peel and an Adjunct Professor at the Dalla Lana School of Public Health. Professor de Villa is a distinguished scholar and physician, and has been recognized and awarded throughout her education and career. She received her medical and public health training at the University of Toronto. She is certified by the Royal College of Physicians and Surgeons of Canada in public health and preventative medicine. She also holds a Master’s degree in Health Science, a Master’s in Business Administration with a specialization in not-for-profit management/leadership and a certificate in Health Law from Osgoode Hall Law School. Dr. de Villa has international experience and has worked with many organizations on prominent public health issues. She has published numerous research papers and made presentations on issues including public health considerations for city planning and emergency preparedness, communicable and infectious disease control, and public health policy development. Dr. de Villa replaces Dr. David McKeown, who retired last year. Dr. Barbara Yaffe will continue to serve as Toronto’s Acting Medical Officer of Health until the end of March.